A new government report shows more Kansas farms put more acres under irrigation last year than in 2008, when the last survey was taken. 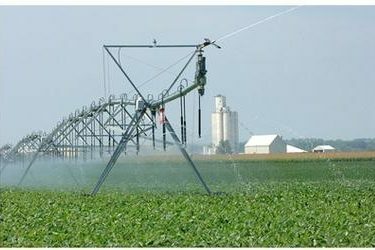 The National Agricultural Statistics Service reported Friday that its survey showed 5,243 Kansas farms were irrigating 2.85 million acres of crops last year. That compares with the 2008 survey when 4,508 farms were irrigating 2.57 million acres. The agency says Kansas farmers spent an average of $56.73 per acre last year to irrigate crops from wells. The average depth of wells in the state was 103 feet. Most acres were also irrigated with sprinkler systems in Kansas.